This is the ninth edition of Hindsight and the last. Hindsight has looked back at the last decade and highlighted the finest and most interesting records that the last 10 years have given us. So, this is the final instalment. Hopefully you’ve enjoyed the recap. Click the “standout track” to listen. 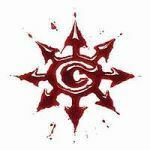 Chimaira were scooped up by Roadrunner Records and from there they recorded their debut, Pass Out Of Existence. Put simply, the record was a woeful and bereft effort and the band found themselves struggling against being kicked off the label. They needed to deliver an intrepid second album, or else. They did that. The Impossibility Of Reason is a thrilling young metal record with zero nonsense, it’s more focussed and has a new discovered lifeblood. Earlier this year they released their fifth record The Infection, they have yet to top The Impossibility Of Reason. Mourning Beloveth are not only one of the strongest doom bands on the go, they’re one of the finest metal exports Ireland has produced in the last 10-15 years, alongside Primordial. Dust, their debut is a sublime mesh of near painfully slow but earth shaking riffs accompanied with guttural and mournful growls and yet tremulously clean vocals from guitarist, Frank Brennan. The whole affair oozes oddly ear shattering melancholy. 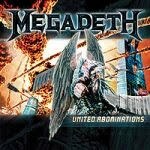 Megadeth may have topped this record with this year’s Endgame but, United Abominations’ importance can’t be overlooked. It’s the storming return to form of Dave Mustaine that had been long overdue. Previous effort, The System Has Failed, though reasonable was more of a false start. United Abominations was where the ‘deth were back to the ways which we all longed for. Opener “Sleepwalker” has now become a live favourite but the heaving highlight was easily in the pleasing “Never Walk Alone (A Call To Arms)”. Top to bottom United Abominations did anything but let fans down, despite the questionable re-recording of “A Tout le Monde” with Christina Scabbia. Razorblade Romance is a record positively crowded with unabashed melodies and simple song structures. From start to finish each track is encumbered with hook a plenty, leaving each chorus stuck in your head. While HIM are certainly opinion dividing; for their faithful, Razorblade Romance is a spotless feather in their hat. Out Of Myself has been described as one of the finest prog debuts for quite some time and when you listen back a couple times it’s very hard to disagree. OOM is sheer emotive sentiments harnessed onto a flawless zenith of convoluted melodies and harmonies. Across a mere nine tracks a heady mix of exhilarating and thrillingly hypnotic tunes are propelled out. 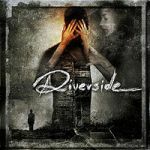 Followed by the equally impressive Second Life Syndrome, Riverside have inescapably proved themselves as an unjustly overlooked band. 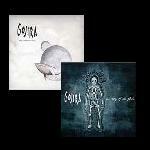 Another exciting rise of the past decade has been that of France’s finest Gojira. From humble beginnings of an extreme kind with Terra Incognita and The Link the Frenchmen now find themselves reaching a larger audience. Oh yeah, and supporting Metallica in gargantuan arenas across the states. This trek began with 2005’s release From Mars To Sirius, a ridiculously heavy effort where track titles like “The Heaviest Matter Of The Universe” couldn’t be more apt. They followed that up with last year’s The Way Of All Flesh, which alienated some fans but ultimately thrust Gojira into the spotlight.